Only four players have been named Man of the Match twice at UEFA EURO 2016. Three of them – Andres Iniesta, Dimitri Payet and Granit Xhaka – have been around the block. The other – Renato Sanches - is an 18-year-old from Lisbon playing at his first major tournament and one of FC Bayern München's flagship summer signings. 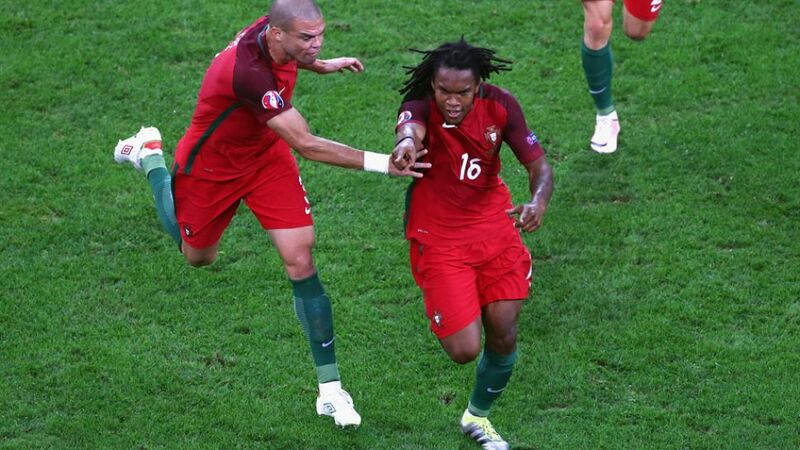 Perhaps even more impressively, Sanches' awards have come in Portugal's two knockout games so far. In the round of 16 against Croatia, the midfielder came off the bench and proved the driving force in his side recording a dramatic 1-0 victory in extra-time. His performance against Croatia was such that he was handed his first start of the tournament in the quarter-final against Poland on Thursday night in Marseille, where Sanches wrote history. When the sides could not be separated, though, to spotkicks it went. After Cristiano Ronaldo and Robert Lewandowski – their sides' superstars – had scored from 12 yards, there seemed to be a collective intake of breath around the continent when Sanches stepped up. He converted in nerveless style as Portugal came out 5-3 winners from the spot to book their place in the semi-finals for the second tournament running. "I think every team practises penalties at this stage," said Sanches. "We were calm and collected when it came down to it, and we came away victorious. "The coach asked who wanted to shoot. Cristiano was first and I said I would be second. The coach had faith in me, and I was confident enough to ask." Confident enough to ask and confident enough to score: Bayern fans will hardly be able to wait for the new season to get started.